When you enter the walls of ICD, you aren’t just entering a school, you are joining a community. 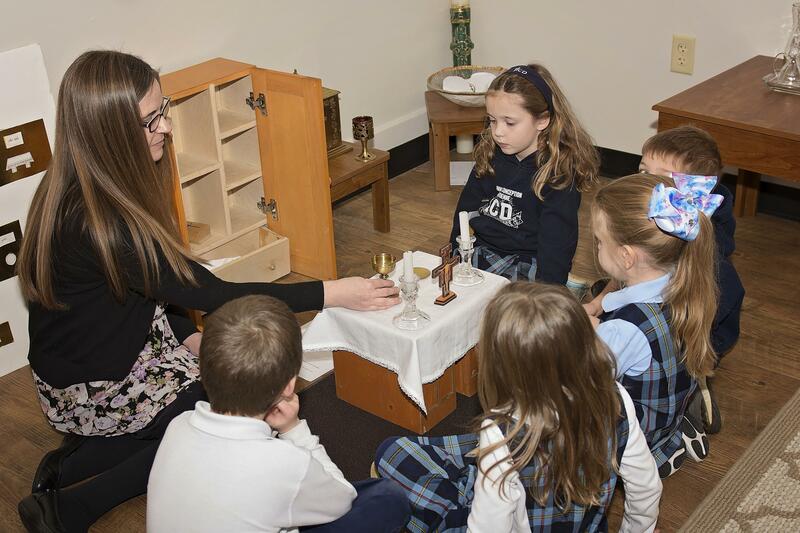 Since 1881 when Immaculate Conception Dardenne opened its doors to the first students the mission has been the same, to be a Community of One Spirit in Christ Jesus. At ICD you will find teachers and staff dedicated to educating the whole child. A strong and purposeful academic curriculum is interwoven with faith-based teaching. At ICD your child will grow both spiritually and intellectually. They will also learn what it means to be an integral part of a larger community. ICD school is an important part of the ICD parish. Students serve the parish in many ways, offering their time and talent, fostering a spirit of service, and enriching the lives of others, in turn enriching their own lives. As our namesake Mary, the Immaculate Conception, opens her arms to the church, ICD school opens its arms to each child.